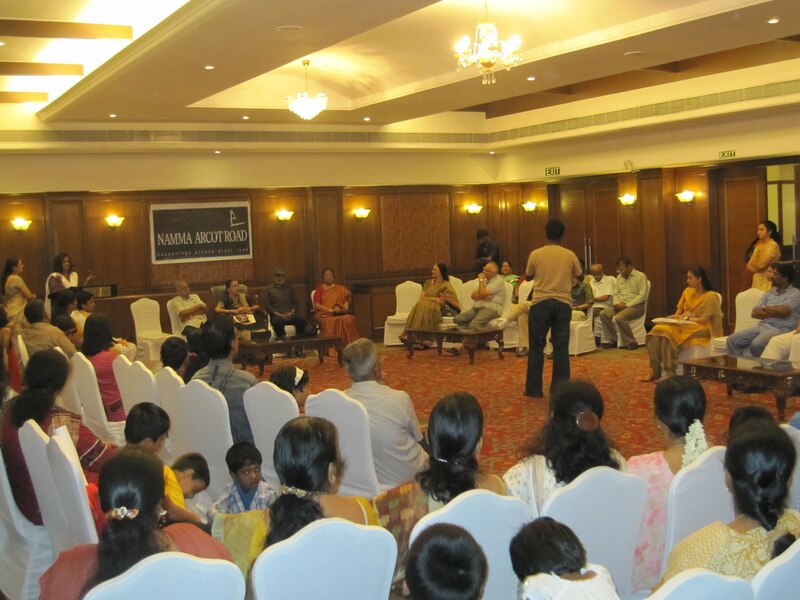 The Namma Arcot Road initiative received a boost on October 2, Gandhi Jayanti, when Mrs Y.G. Parthasarathy, dean and director, Padma Seshadri Group of Schools, flagged it off at Hotel Green Park. It was a dream come true for two KK Nagar residents, Binita and Gargi, who along with a few volunteers (Soundara Rani, Rashmi, Madhusudhan and others) have now embarked on a mission to make the neighbourhood a happening place. The inaugural was fairly well attended. You can trust S. Muthiah to be present on an occasion like this – anything to do with heritage and a part of Chennai, and he’s there. And his presence certainly makes a difference to an event – brings it more credibility. There was film director S.P. 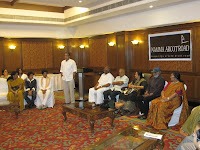 Muthuraman, director of the LV Prasad Film & TV Academy K. Hariharan, actor Nasser, INTACH co-convener Prema Kasturi, and cricketer Murali Vijay's father R. Murali. I was delighted to see R.K. Baratan, president of the Sri Sastha Sangam, who many in the area do not know was one of the founders of the Public Relations Society of India’s Madras Chapter and was also instrumental in getting Stella Maris College to start a graduate programme in PR. There were also two veteran sub-editors – K.K. Nair and Vijaykumar, both of whom had worked for the Indian Express years ago. Vijaykumar often narrates to me the stories of the old days – when he would stay back in the office because there was no proper bus service to KK Nagar; only one service to the Vadapalani depot. And he usually remained there late till he proofed the sports pages. Commending the initiative, Muthiah suggested documenting the social history of Arcot Road and making Mrs Y.G.P. Parthasarathy an honorary resident of the area, considering her immense contribution to the growth of Padma Seshadri School, KK Nagar and the contribution of the school in turn to the growth of the area. Students of Classes 9 and 10 of PSBB, KK Nagar would be a part of the documenting initiative, Mrs Parthasarathy assured. The Namma Arcot Road catalysts or coordinators have decided to follow this up in right earnest and do some documenting themselves. Hariharan, too, offered student support for the initiative. Muthuraman went on flashback mode, recalling the years of yore when there was no Kodambakkam bridge and people would wait at the turnstiles to catch a glimpse of film stars as they crossed over. But it was Nasser who stole the show with a fascinating talk on how the city, especially the area around the studios in Kodambakkam and beyond, was fast losing its built and natural heritage. He referred to trees being chopped mercilessly in Valsarawakkam where he stayed and said he felt like weeping every time he passed Vadapalani because so much had changed, even outside the few existing film studios. It was heartwarming to receive his unconditional support for Namma Arcot Road. The idea for Namma Arcot Road, as the initiative has been named, came about after the success with Madras Day celebrations at Hotel Green Park the past few years, especially last year and this year. The coordinators were further enthused after receiving encouragement from Muthiah, editor-publisher Vincent D’Souza, storyteller Jeeva Raghunath, and, well, myself, all catalysts for Madras Day and Madras Week. 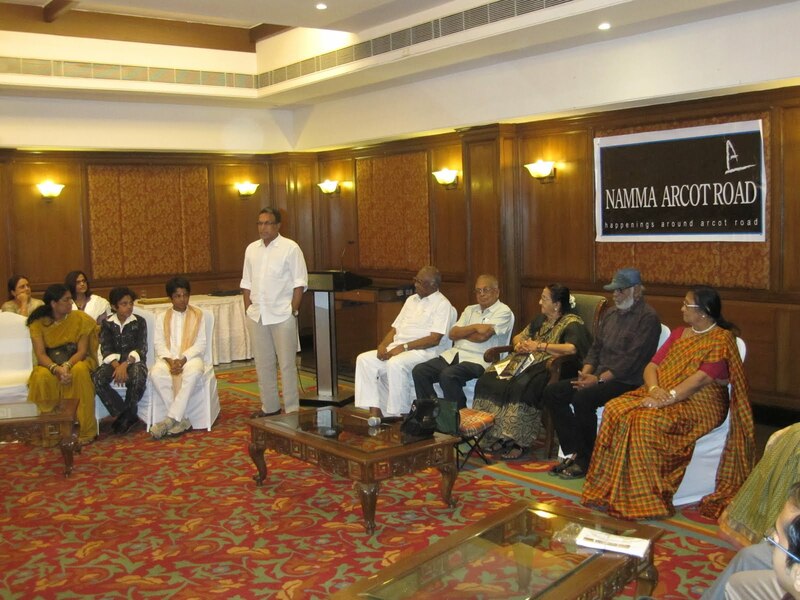 Namma Arcot Road will hold talks, walks and events the last Saturday of every month. The broad objective is to get prominent speakers to the Arcot Road area to talk about its heritage and to create awareness about lesser known aspects of this part of town. Plans are on to organise heritage walks, music performances and workshops for children, weaving in some aspect or the other of Arcot Road and its neighbourhood. The next event will be held on October 30 at the LV Prasad Film & TV Academy, with a talk on the studio’s heritage by its director K. Hariharan. This will be followed by a heritage walk on the campus. 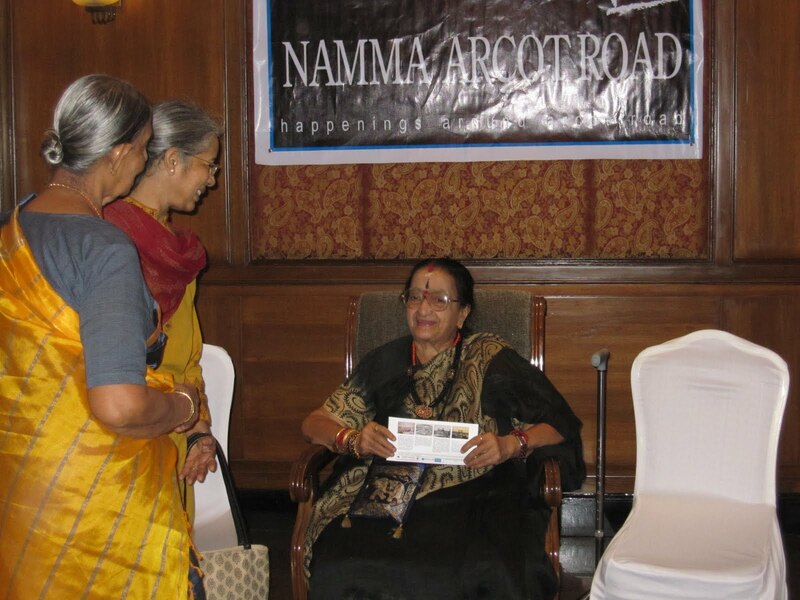 Pictures show Gargi and Binita providing the background to Namma Arcot Road; senior citizens of the neighbourhood talking to Mrs YGP; S.P. Muthuraman reminiscing about the good old days; Nasser essaying a sterling performance, without mike; and the chief guests congratulating a prize winner of the drawing contest held before the event. What's Metro Rail doing to Chennai roads!